A potentially historic, record cold snow storm is aiming to hit New England next week. The misery will start this weekend with cruel cold temperatures; it will be a frigid weekend for the north east. The mercury is expected to dip to around -7C, 19F as Arctic cold washes over the area this weekend. That would beat the old record of 22 degrees set way back in 1874. Another record could go on Sunday morning, Boston’s all time lowest temperature for March -14C, 7F could well be in danger. The potential historic storm should land on Tuesday through to Wednesday and promises to be a record breaker. 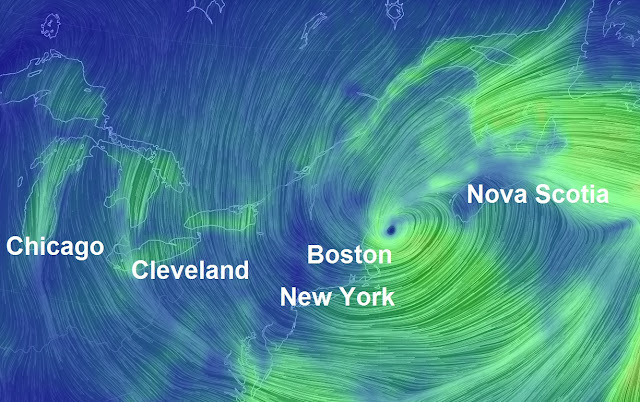 The storm will batter New England and the north east with heavy blizzards and powerful winds. More than a foot of snow can be expected with damaging and prolonged north east winds and serious east coast flooding. But this can't be happening. We're getting warmer. CNN told me so.